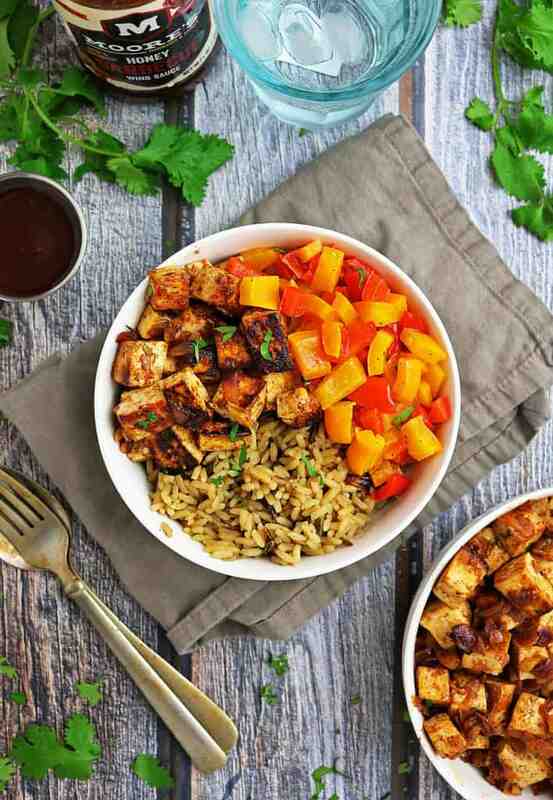 I’ve partnered with Moore’s Marinades and Sauces to bring y’all these Easy Honey BBQ Tofu Bowls with Rice and Peppers! All opinions shared here in are my own. Thank you so much for supporting the brands that keep this Blog Spinning! Happy New Year, Y’all – thanks so much for stopping by today! 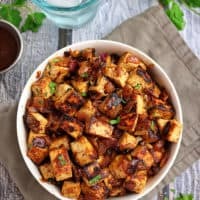 Before we move onto this Easy Honey BBQ Tofu Bowls with Rice and Peppers, I have some news to share. 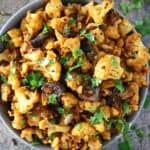 For the past few years, I’ve been sharing quite a few vegetarian dishes on here as I had been supporting my daughter’s choice to be a vegetarian. However, after two long years, my daughter has gone off her vegetarian path! Which means I no longer have to sneakily make and enjoy treats like these Cinnamon Bacon Doughnuts or these Prosciutto & Apricot Cookies with White Chocolate Glaze anymore. 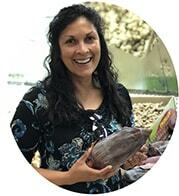 Now I can ooh and ahh at the simple pleasure of a crisp piece of chocolate covered bacon – though, after reading this article, am thinking my chocolate enjoying days are numbered and I might just be oohing and ahhing at a piece of plain crisp bacon before too long! It was a few days after Christmas when she managed to catch a nasty bug. Being the kind and generous gal she is, she passed that bug onto me. When she saw that I was making some of my spinach and chicken soup loaded with garlic and ginger for myself and some vegetarian chickpea and spinach soup for her, she decided enough was enough and before I knew it, she was slurping ladles of that spinach and chicken soup down, breathlessly! For a moment, I thought she would regret her decision. But, 6 days, 4 bowls of spinach and chicken soup, and 2 servings of orange and garlic chicken later, she is firm on trying to make up for all the chicken she had been missing out on eating. So, of course, I decide to celebrate her jumping off her vegetarian path by making these Easy Honey BBQ Tofu Bowls with Rice and Peppers! I know, I know – what am I thinking-right?! But, I had tofu hanging out in the back of the fridge looking all sad and forlorn so I couldn’t resist grabbing it and jazzing it up with some flavor-jammed, Moore’s Honey BBQ Wing Sauce! 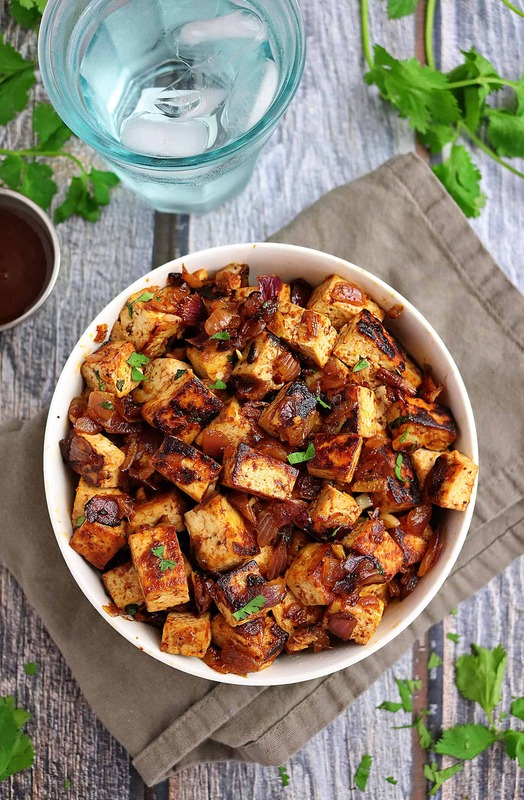 This tofu is so quick and easy to whip up and relies on the flavoring of spicy/sweet, smoky/tangy Moore’s Honey BBQ Wing Sauce, some sauteed onions and garlic! 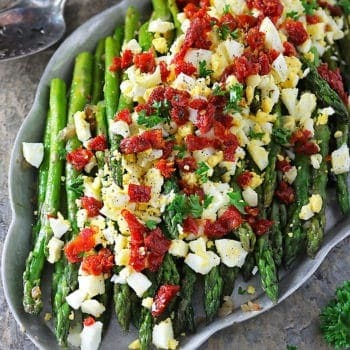 I paired it with some rice and sauteed peppers for a delicious weeknight meal. 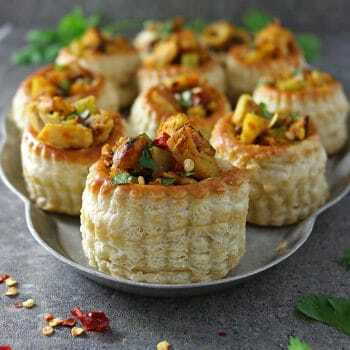 Now, you can easily sub some chicken for the tofu and this would be just as delicious! After all our holiday feast-ivities, these Easy Honey BBQ Tofu Bowls with Rice and Peppers made for a light and flavor-jammed dinner! 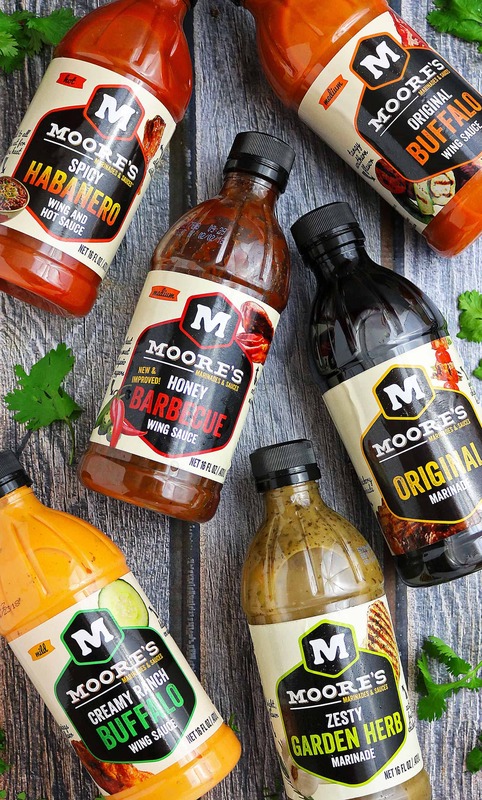 If y’all happen to be looking to purchase Moore’s Marinades and Sauces, check out this page to see which grocery store near you might be carrying them. These simple, tasty and filling Easy Honey BBQ Tofu Bowls with Rice and Peppers made for a delightfully delicious and lighter meal after all our holiday feastivities. Using paper towels or a kitchen towel, dry the block of tofu as best as you can. When it seems dry-ish, then cut it horizontally once and then vertically into bite sized cubes. Add oil to a pan over medium heat, and then add in diced onion and saute for about 5 minutes or until onion is translucent. Add in diced garlic and saute about 2 minutes. Add in the tofu and let the pieces brown - usually about 4-5 minutes. Flip them with a spatula and let them brown on at least one other side. 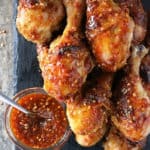 Add in the Moore's Honey BBQ Wing Sauce and mix well. Add in more as needed. Remove from heat, garnish with parsley and serve with rice and lightly sauteed peppers seasoned with salt and pepper and more Moore's Honey BBQ Wing Sauce on the side. *Nutritional data is only for the Honey BBQ tofu. Thanks so much Jill! And thanks for stopping by! 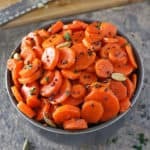 Seeing you are not a vegetarian – this sauce would be wonderful with any meat you prefer too! Happy New Year! Hahaha!!! Dude – too funny about y’alls tofu! Seriously serious now – we are all better – nothing like some chicken soup to knock out all the gunk! Cheers “to a wonderful and tasty 2018” back at you, my friend! Wow! I just love that color. The tofu looks so perfect paired with that honey bbq wing sauce. Thanks so much for stopping by and sharing your kind comment, Tara! Happy New Year! 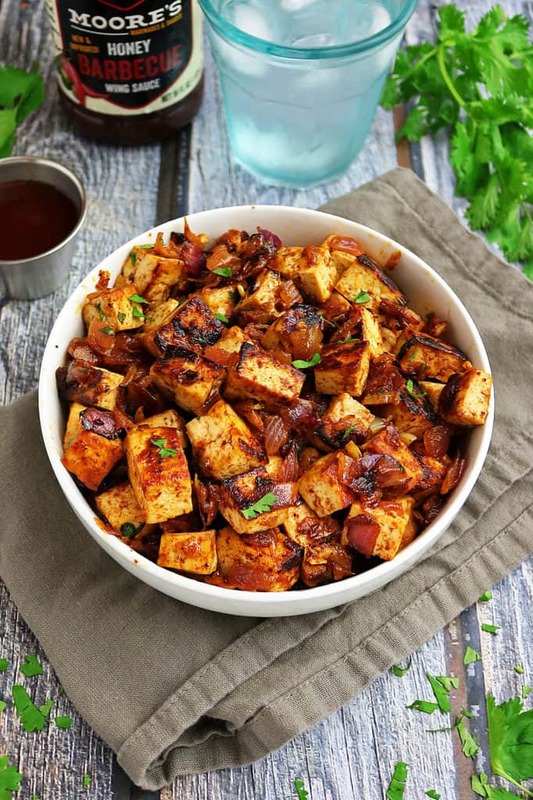 Oh Shashi I love this take on tofu–it would convince ANYONE to fall in love with tofu. I bet it makes your daughter ready to give up bacon–AGAIN!! Hi Kristen!!! How are you???? Hahahaha! She might be ready to give it up again – but AM so not! 🙂 Thank you btw! Wishing you and your lovely family a healthy and happy 2018, Kristen! Hi My friend! We are good!! And fingers crossed you will be enjoying bacon with your daughter for years to come. Happy 2018 to you too! What a delightful bowl! Coating the tofu in barbecue is ingenious. Also, if your daughter is happy with her decision, yay! Haha – Couldn’t agree more, Sarah! Thanks so much for stopping by and commenting – hoping this year is off to a great start for you! These flavors sound amazing!!! I’ll be grabbing a few bottles. Thanks for sharing! Thanks so much for stopping by Felesha – and your kind comment. Happy New Year! Hoping this year is off to a wonderful start for you and Lynne – cannot wait to see the places y’all will go to this year, my friend! What a great bowl of healthiness and goodness! I want some for my lunch! Happy New Year, Shashi. Tofu looks fantastic – nice crisp! Happy New Year, and welcome to 2018…I mean to the real life after the holiday season:) I tried cooking tofu first time ever only last year, and it was quite decent. But what I see in this post looks like the perfection to me, Shashi! 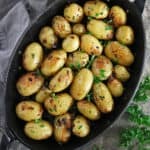 Super crisp and beautifully golden, and not soggy at all. When m making tofu next time, I’ll certainly check this post again for some tips. Well done!